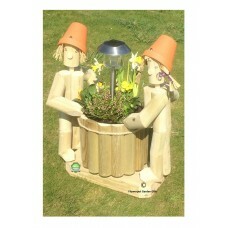 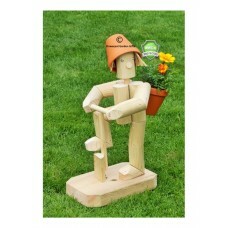 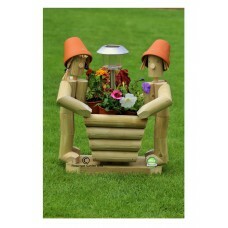 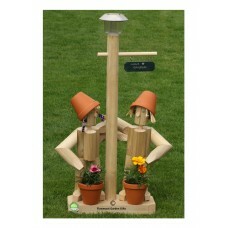 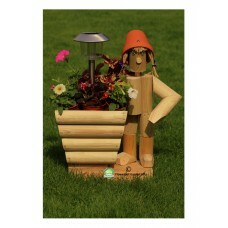 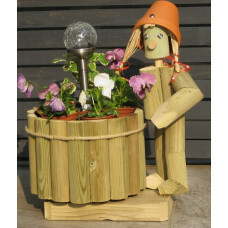 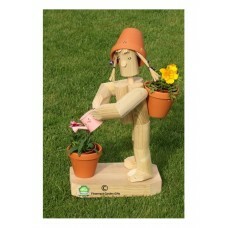 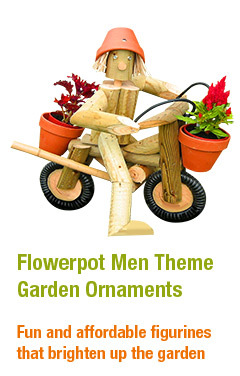 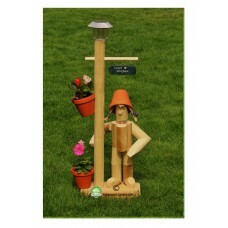 We have created a range of flowerpot men and women ornamental standing figures that will brighten up any garden. 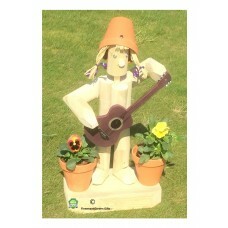 Flowerpot Stander on a Tanalised wooden plinth, holding a black metal shepherds crook..
Stander playing a Guitar, standing on a wooden Tanalised plinth. 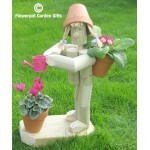 Two Seasonal plants are inclu..
Stander + Blue, Pink or Silver watering can standing on a wooden Tanalised plinth. 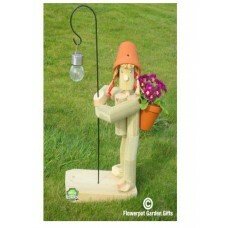 A Seasonal plant ..